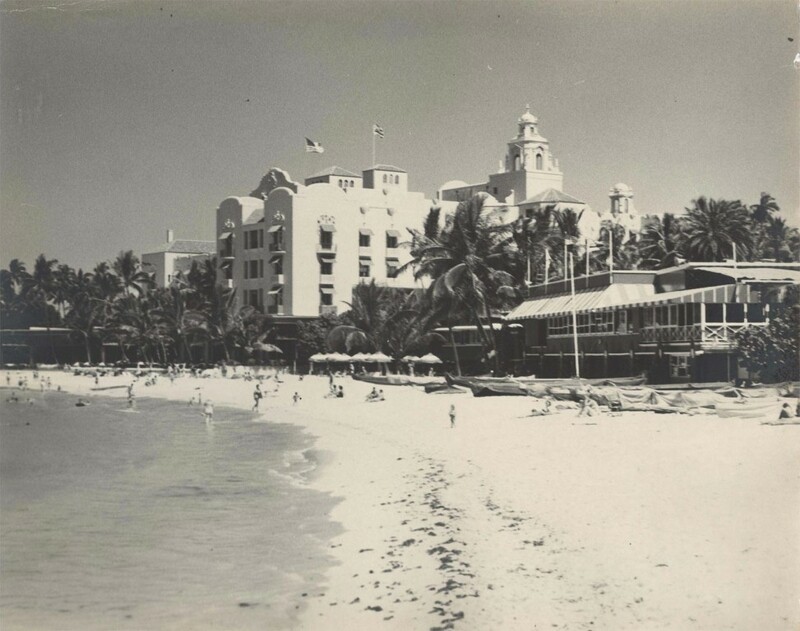 The remarkable Royal Hawaiian Hotel stands on Waikiki beach in Oahu in 1951 while visitors take advantage of ample open space in the early days of Hawaii tourism. Today this hotel is still standing in the same spot and is as famous as ever. The beach, uncrowded in this picture, is now world-known and is only found empty in the early morning or late evening.